The huge amount of depth of development in the new Offroad model range extends all the way from the 50 cc two-stroke (50 SX) right up to the powerful displacement of the Enduro 530 EXC-R. In between there is a whole range of tailor-made sports machines for every type of offroad riding and for every rider profile, all absolutely true to the KTM “Ready to Race” philosophy. 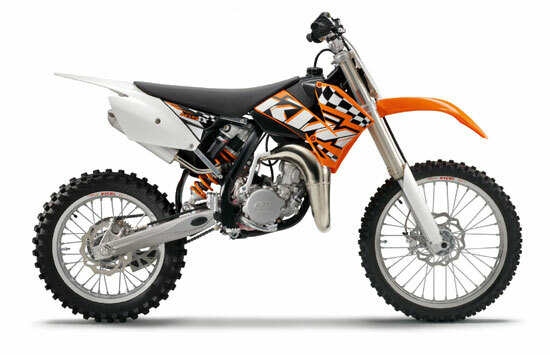 KTM has just the right machine, regardless of whether it’s for the ambitious hobby rider or the ruling world champion.